Prim and polished, this chaise has a timeless style that you will love. 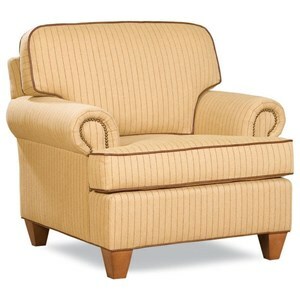 Adorning this piece are low, English rolled arms, T-back cushion with welt cord trim, and tapered, exposed wood block legs. 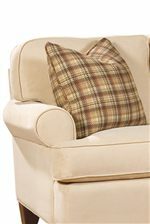 Comfortable as well as stylish, our UltraPlush cushions provide a pleasantly resilient yet firm seat support. Keep this design or customize the look you've always dreamed of by choosing from a variety of style options, including arms, backs, and bases, and choose from our wide selection of upholstery fabrics. 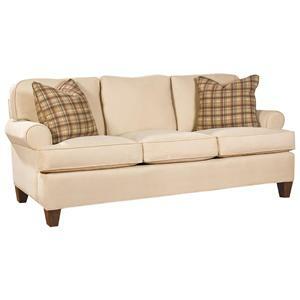 For a traditional and cozy place to relax, look no further than this chaise. The 2041 Customizable Chaise with Rolled English Arm and Welt Cords by Huntington House at Belfort Furniture in the Washington DC, Northern Virginia, Maryland and Fairfax VA area. Product availability may vary. Contact us for the most current availability on this product. The Solutions 2041 Series provides you with numerous amounts of customizable options for your living room furniture. For the base: choose from a skirted base, tapered wood leg, or turned wood leg. For the arms, choose from a rolled panel arm, rolled English arm, sock arm, pleated arm, or classic track arm, modern track arm, or padded track arm. 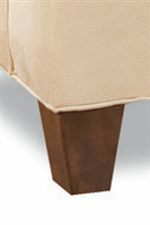 For the back, choose a bed pillow, box border, knife edge, and mod box border. 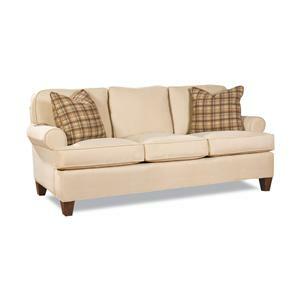 For the upholstery, choose from multiple fabrics to meet your comfort and style needs. The 2041 collection is a great option if you are looking for Transitional furniture in the Washington DC, Northern Virginia, Maryland and Fairfax VA area. Browse other items in the 2041 collection from Belfort Furniture in the Washington DC, Northern Virginia, Maryland and Fairfax VA area.